Patagonia make this shirt for big ambitions. Pair it with heat, sweat and hardscrabble miles. 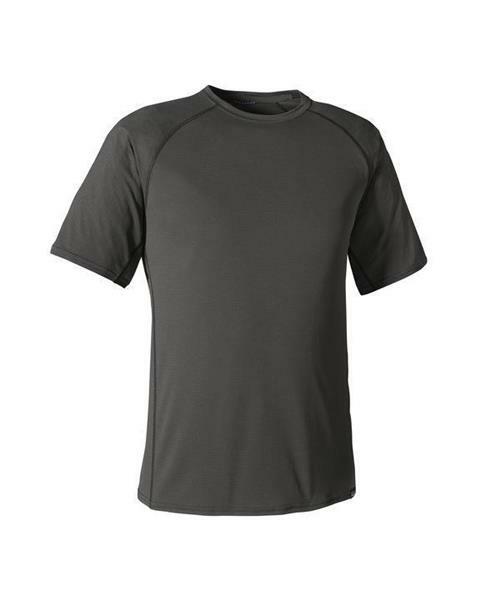 Capilene® Lightweight is their lightest-weight, fastest-drying and best-wicking baselayer. The fabric’s subtle grid pattern sits lightly and comfortably on the skin; the smooth outer face glides easily in any layering system. Highly breathable for high-exertion and warm conditions, the fabric is bluesign® approved, 100% recycled polyester with 35-UPF sun protection and is treated with Polygiene® permanent odor control. Features include a self-fabric collar with internal neck tape for chafe-free comfort, full underarm gussets for unhindered shoulder mobility, flatlock seams to minimize chafing, offset shoulder and side seams to lie smoothly beneath pack straps, and a drop tail for additional coverage.